‘X’ is the shape formed by the crossing of violin and harp strings. The combination of violin and harp seeks to challenge the familiar musical forms, which is appropriate given that the word ‘iksa’ means challenge or fight in Japanese. 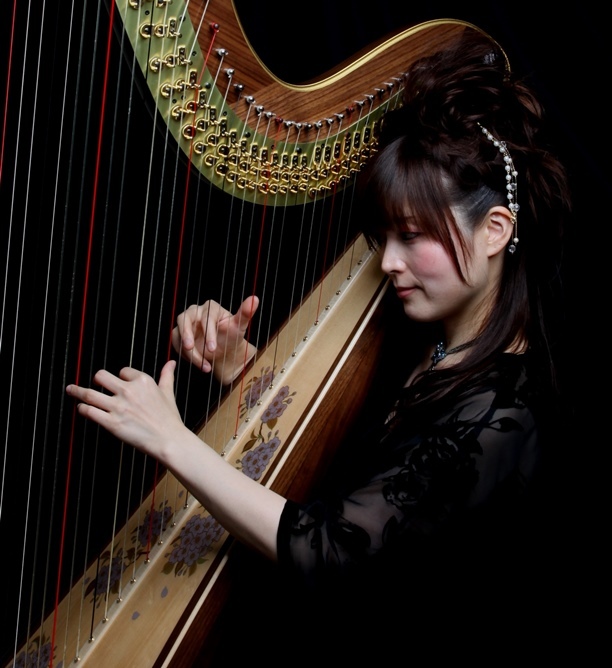 Born in Osaka, Japan, she began playing the piano at the age of 3 and graduated from Soai University (Faculty of Music).After studying at University,she began playing the harp.She is now a free-lance harpist and her activities incorporate solo, chamber ensemble and orchestral performances.She is a member of the violin and the harp duo‘X[iksa]' with violonist Yasutaka Hemmi,and has performed more than 250 times including performances in South Korea,Australia and South Africa.Along with X[iksa], she is also a member of the harp duo ‘Farfalle’, with sister Eri Matsumura, and has performed in a range of contexts including the Arles International Harp Festival and the NHK-FM Recital. She has released five CDs so far;‘X[iksa]’in 2008,‘Farfalle au bois dormant'in 2009,‘Wa'in 2010,‘Casse-Noisette～Cadeau de Noel～'in 2012,‘Farfalle au pays merveilles'in 2013. She has given numerous first performances, and as an arranger, she has expanded the repertoire of harp music. 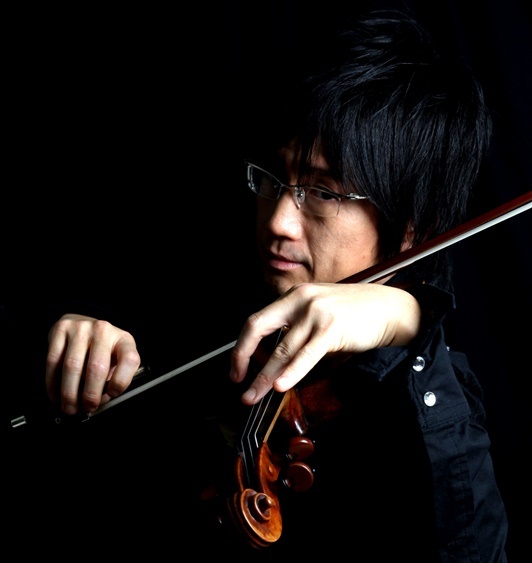 Born in Matsue, Japan, HEMMI is one of the most dynamic and active violinists for contemporary music in Japan. He has been invited to many international festivals and given literally dozens of premieres. He has invented new techniques for the violin and collaborated with composers, dancers, visual artists, actors and many others. From 2001 to 2003, he was a member of Champ d'Action (Belgium), and from 2003, he has been a member of ‘next mushroom promotion’ (Osaka). His solo CD ‘Violin Encounters’ was released through Megadisc (Belgium) in 2004. HEMMI’s performances are also available on numerous CDs or DVDs.